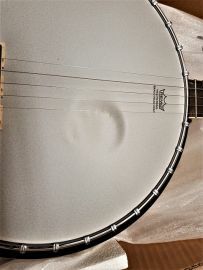 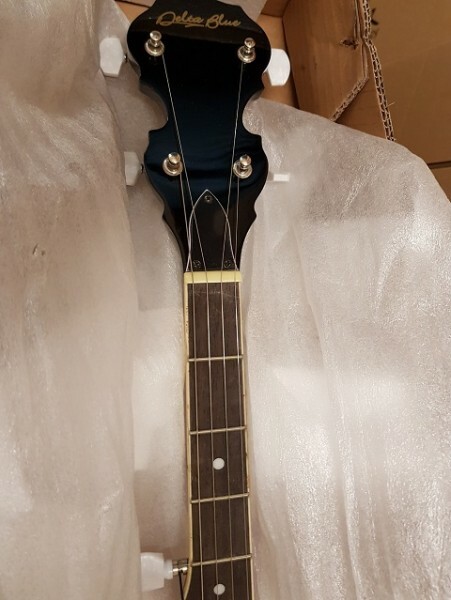 Delta Blue DBJ35 - 30 lug closed back 5 string G banjo. This is a return that has a slight dent in the vellum (shown). 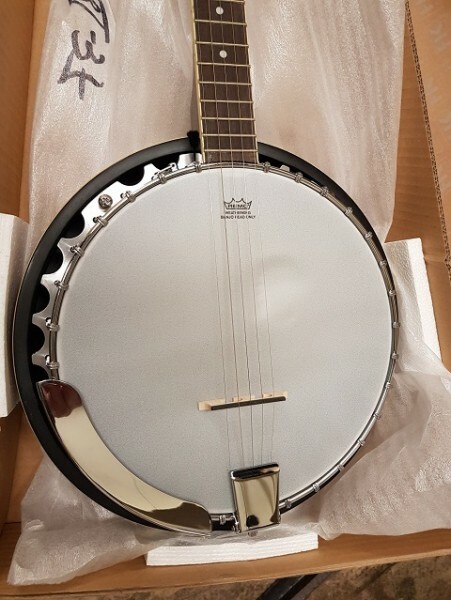 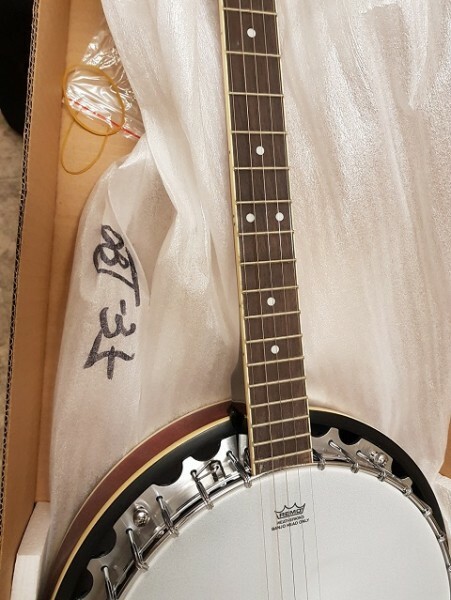 Apart from that the banjo is new. 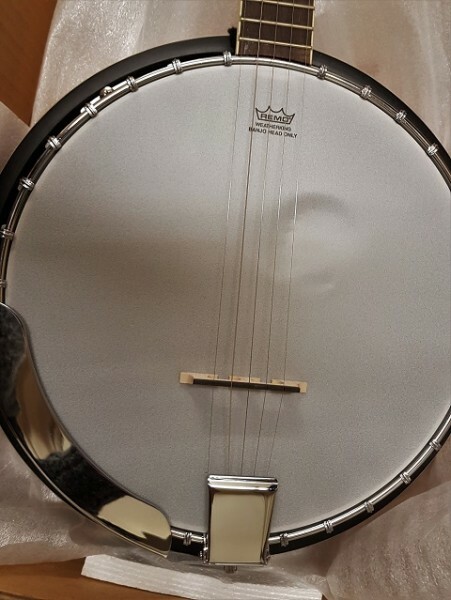 The dent doesn`t seem to have an effect on the playability and can always be changed.